Easy to use - The tool’s GUI interface enables you to simply paste the injectable request found by a DAST tool or feed a detailed request straignt from an application scan report. You can then control how much information is harvested. 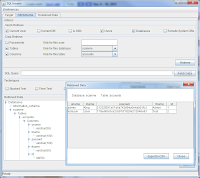 Clearly presents evidence - Unlike tools that provide all data via command line, NTO SQL Invader provides the data in a organized manner that is useful for both executive meetings as well as technical analysis and remediation. 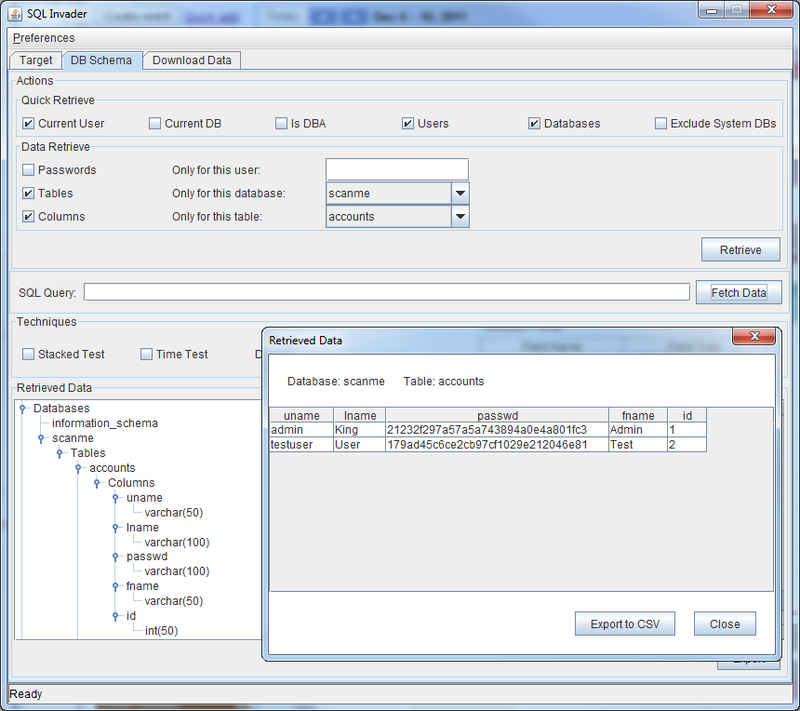 Enables easy transport of logging data - All of the data harvested from NTO SQL Invader can be saved into a CSV file so the reports can be included as penetration evidence as part of a presentation or POC.